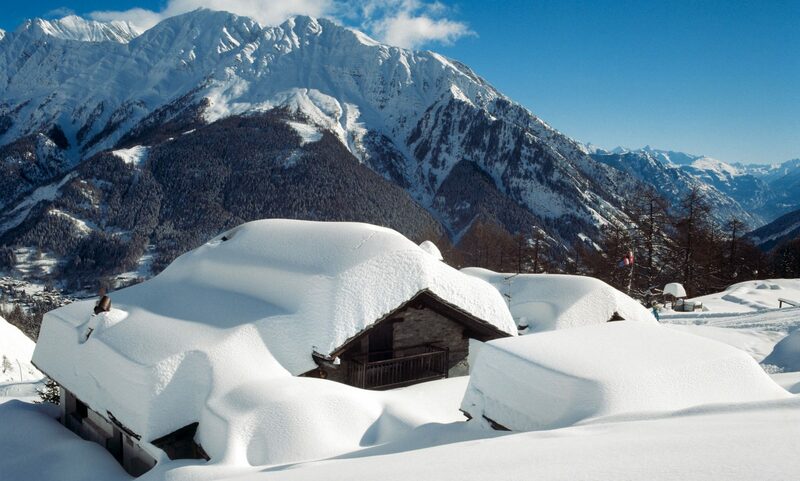 Stubaital is an area that suits the entire family well. The area has received many awards as the Alps’ most family-friendly skiing region. The mascots of the BIG Family Stubaital welcome young visitors in winter. The resorts itself cater well to families and offer free rides for children under the age of ten when accompanied by a paying parent, as well as many very good ski schools. All ski instructors know how to engage the little ones in your family, making the adults have a care-free holidays knowing they are well catered for. At the Skicamp on the Stubai Glacier Kids learn skiing under the best circumstances.Why Stubaital is a great region for the entire family. Photo: Stubaier – Tirol Werbung. At the Stubai Glacier, Austria’s largest glacier ski area, the mascots B.BIG and Mini B. welcome their protégés to the BIG Family Children’s and Youth Ski Camp, where children from age four can learn how to ski in the Mini- and the Kinderland areas. Even during lunch, kids are well looked after in the Kingdom of Snow. In addition to the colourful BIG Family Kinderland, the BIG Family Kindergarten and the spacious BIG Family Children’s Restaurant are also part of the glacier’s family offer. The weekly snow cat rides and the exciting ice rally through the ice grotto, a fascinating tour directly in the eternal ice, will make your kids’ eyes sparkle. Blue ice, mysterious holes and fascinating layers – 30 metres below the ski slope the mountain looks weird and fascinating at the same time. Skiing fun and action can be experienced by young and older guests alike on the BIG Family Boarder Cross trail with wave tracks and steep bends, the BIG Family Slalom or on the one-kilometre BIG Family Fun Slope. NEW this winter is the BIG Family Slopestyle area at the Gamsgarten, where the freestyle stars of tomorrow show their first jumps. Mascot BIG Ron’s home is in the Schlick 2000 Skiing Centre in Fulpmes. As soon as the first snow has fallen, he puts on his yellow cap, shoulders his pink skis and sets out from the Kalkkögel, his summer residence, to the Kinderland that features, among other things, several magic carpets, a ski carousel, colourful flags as well as a slalom and a zigzag course for young guests. Fun and play are guaranteed thanks to our patient skiing instructors. Dormitory and changing room, lunch offer and more – in BIG Ron’s play and warm-up room even babies from three months of age are welcome without registration. As the play and warm-up room is right in the ski area, mum and dad can hereby visit their loved ones any time. At the Elfer in Neustift, mum and dad really enjoy taking their little ones on the long and perfectly groomed toboggan runs of the Elferbahnen. No less than three runs are available here, two of which are even illuminated at night three times a week. Skiing families will not only appreciate the demanding runs on Neustift’s mountain, but also the practice area in Krößbach, where Elfi the ski owl is at home. The relatively-flat terrain with a low gradient is ideal to take the first steps. Thanks to the practise lift and a magic carpet, you can quickly and easily enjoy several descents a day. The offer is completed by a ski rental shop and a lodge for warming up. In the Schlick 2000 kids learn skiing in a playful way. Why Stubaital is a great region for the entire family. Photo: Stubaier. Tirol Werbung. Mieders is all about the children! The mascot King Serli not only likes to share his title with his little fans, but also opens his Kinderland realm at the Serlesbahnen Valley Station to them. The terrain is separated from the other pistes, allowing young beginners to safely practice in a protected environment. Various learning aids, such as a practice lift and magic carpets, guarantee comfortable transportation to the top. The location next to car park and bus stop is not the only advantage: Parents who want to support their children taking their first steps in the snow do not even need a ski pass! Members of the BIG Family Stubai can also witness great festivals in the Stubai Valley time and again. On 30 December 2018, together with many young visitors, New Year is celebrated at the BIG Family New Year’s Eve Warm-up Festival – including spectacular fireworks! The popular, cuddly mascots will, of course, also be out and about thereafter, taking care of your little ones. The same fun factor applies to the Life Radio Winter Tour at the Kreuzjoch panorama restaurant on 10 February 2019 in the Schlick 2000 resort or to the event on 05 March 2019 when BIG Ron invites you to join his Carnival Party at the Schlick 2000 Intermediate Station. Also, on the 5th of March in the afternoon, the Stubaier Gletscher invites family with kids to celebrate the BIG Family children carnival at the station Gamsgarten. The red nose Clowndoctor, a DJ for kids as well as a clown show with Herbert and Mimi, will provide a lot of entertainment and fun. In addition to the ski courses, there are many additional services that B.BIG and Co. have devised for their protégés. When accompanied by a paying parent, children under the age of 10 can ski all four resorts free of charge. Another advantage in the skiing areas are the separate lift access lanes for ski course children that prevent waiting and boredom. The BIG Family does not only provide great offers in resorts, but also down in the valley. The BIG Family Premium Homes are accommodation offers especially designed to meet the needs of children. In addition to that, the BIG Family restaurants serve delicious kids’ menus and even comply with extra wishes little guests might have. And as if that weren’t enough, the BIG Family organises several parties during the winter season. In a nutshell: there is nothing in the way of an unforgettable skiing holiday with children. When the BIG Family Mascots are around every event turns into a happening! Photo: Stubaier Tirol Werbung. Why Stubaital is a great region for the entire family. Stubai glacier- Photo: PXhere. Why Stubaital is a great region for the entire family. Featured Image: It’s well known already that kids up to ten years of age do not pay for a skipass in Stubai! Why Stubaital is a great region for the entire family. Photo: Stubaier-Tirol Werbung.